Hunger can be a big problem when we try to lose weight. But, some weight loss strategies cause less hunger than others, and we can actually use whatever hunger we have to work for us when we decide to eat less. Those of us who have diabetes seem to be continually trying new ways to manage our weight. I think that I tried everything from very low-fat (Dean Ornish's) and high-starch diets (John McDougall's) to the Standard American (SAD) and Mediterranean diets. Only when I took a prescription drug (Byetta) and later when I switched to very low-carb, because I wanted to avoid the side effects of drugs, was I able to take off all the weight I needed to lose. Now, researchers in Australia have reviewed whether or not low-carb diets help us to keep our appetites in check as we lose weight. Reduced appetite is the flip side of hunger, and their review found that a few studies have indeed shown promise in reducing appetite during weight loss. Obesity Reviews, the journal of the International Association for the Study of Obesity, published the abstract of this meta-analysis online. The reason why they studied low-carb diets was, as they wrote, because the results of clinical trials were inconsistent. The researchers found 12 previous studies to include in their meta-analysis. They think that ketosis is why a very low-carb diet provides "a plausible explanation for the suppression of appetite. " Ketosis is a good thing that too many people still confuse with diabetic ketoacidosis, which is dangerous and serious. Ketoacidosis can happen when the body cannot use sugar as a fuel source because there is no insulin or not enough insulin. Ketosis is when the liver increases the production of ketone bodies by the oxidation of free fatty acids. It "provides an alternative fuel source derived from fat when glucose is in short supply," the review continues. In terms of possible researcher bias, if anything they seem to be biased against very low-carb diets. The telling phrase is that they "are counter-intuitive to evidence-based healthy eating guidelines as they involve elimination of whole groups of foods," specifically mentioning grains. Consequently, the results of their meta-analysis seem to have surprised the researchers. "The more remarkable finding from this work, from a clinical perspective, is the clear lack of increase [emphasis in the original] in hunger" despite the fact that people following them ate less and lost weight. And even when we get hungry, we can turn it to our advantage. I often get a little hungry when I fast. Intermittent fasting has many health benefits, as I wrote in "Intermittent Fasting for Diabetes Control" and earlier articles here. Right now I am practicing a short form of intermittent fasting by not eating any solid food after my mid-day meal, like some monks and nuns do to manage their appetites. But the reason why I am fasting this time is because my weight crept up a little above where I want it to be, and I am making a small course correction right away instead of a big one later that would be more difficult. I actually am glad that I have some hunger because I know that this means I am losing weight. 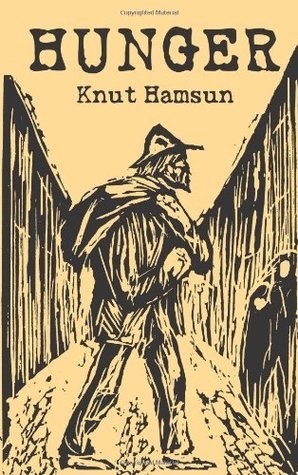 A few days ago I picked up a book by one of my favorite authors, Knut Hamsun. More than once I have read his epic novel Growth of the Soil, which scholars have credited with securing him the 1920 Nobel Prize in Literature. I had read that another of his novels, Hunger, first published in 1890, was "an outstanding example of modern, psychology-driven literature. " But I discovered that the plot--the sad life of a starving journalist who obsessed about food--hit too close to home, and I had to stop. Still, the cover of one of the book's editions serves us well as this article's graphic.